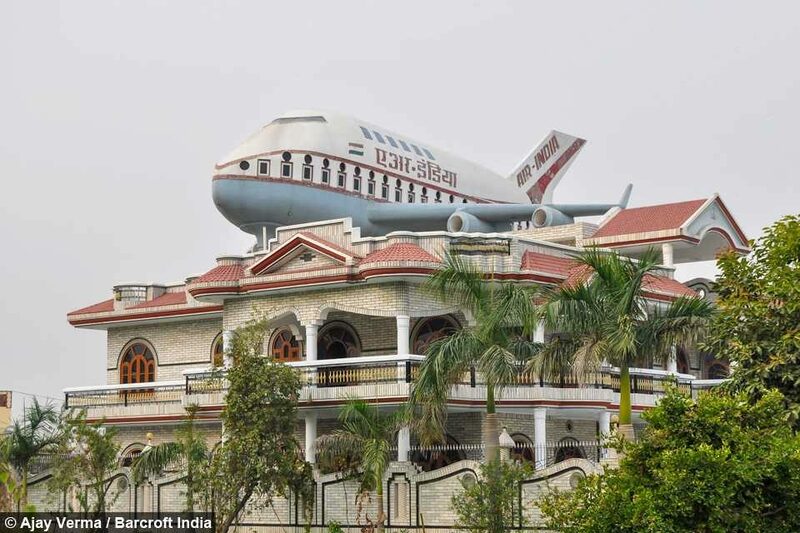 Out to impress the neighbors in Punjab, India? 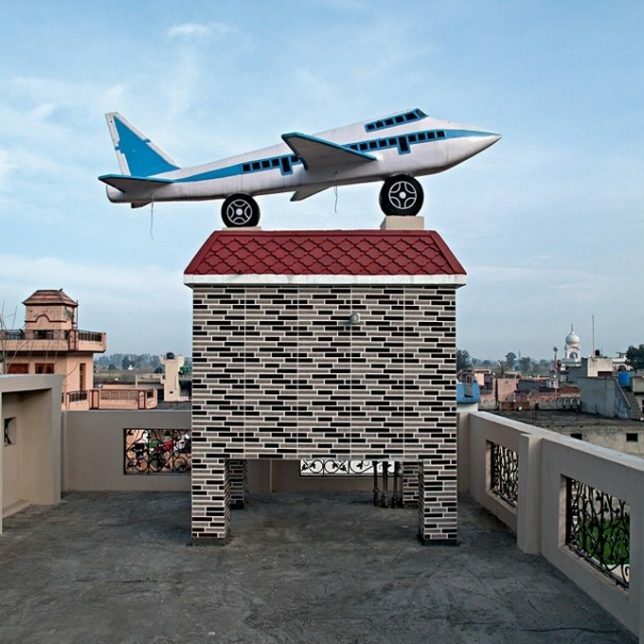 Try topping your humble abode with a cool water tank rendered as a jet, blossom, or bodybuilder. 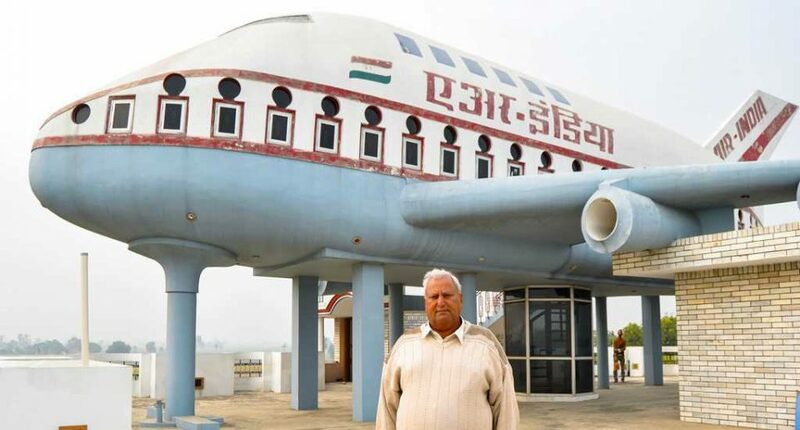 Keeping up with the Joneses (or their Punjabi equivalent) just got a lot tougher thanks to Santokh Singh Uppal, a successful entrepreneur who, in 1959 and at the age of 17, left his native village of Uppal Bhupa to make his fortune in the United Kingdom. 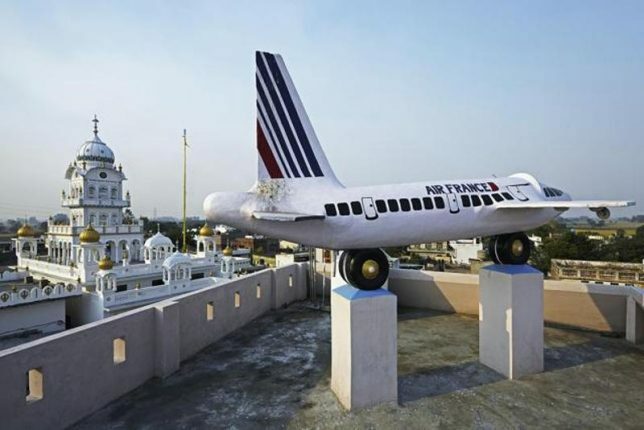 “To me,” explained Santokh, “this Air India plane symbolizes the hopes and dreams of all those enterprising Punjab residents for whom going abroad is like the first step towards shaping their destiny.” Ajay Verma snapped the above shots of Santokh’s house-topper, completed in 2004 after five years of construction. 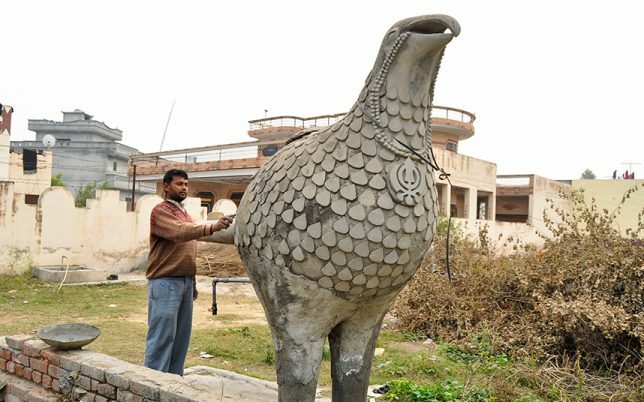 More than a few Punjabis share Santokh’s sentiments and show it by mounting similarly artistic water tanks on the roofs of their homes. Most of these home-owners are NRIs – Non-Resident Indians – who have achieved success abroad yet still maintain their home base in their homeland. 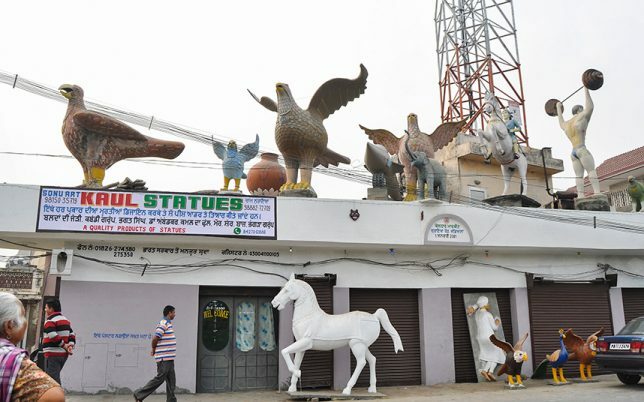 Mounting a decorative water tank symbolic of their personal odyssey, main interest or both serves to signal their family’s prosperity while spurring their village neighbors to top – no pun intended – their folk art braggadocio. When, where and how did this weird water tank oneupmanship get started? 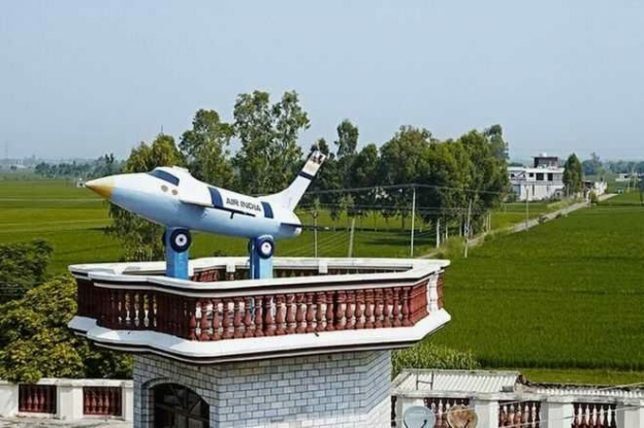 “In Nawanshahr,” states photographer Rajesh Vora, “the proud owner of a restaurant in New Zealand celebrated his success as a chef with a pressure cooker-shaped water tank back home. 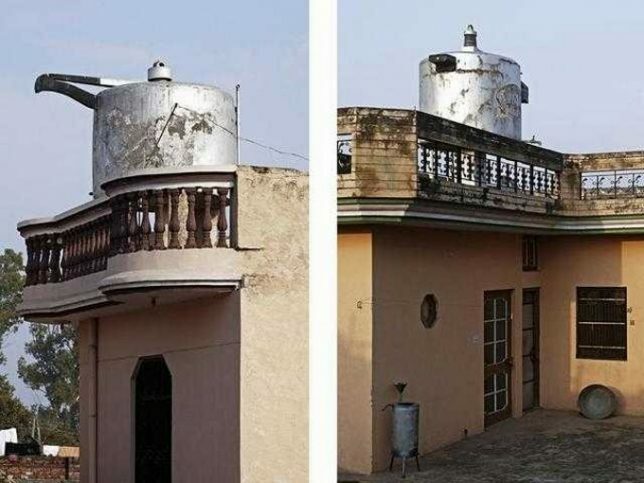 Soon, villagers in neighboring villages started to copy it.” Not everyone is a successful restaurant owner, however, nor is constructing a rooftop water tank an endeavor anyone can engage in. True to their entrepreneurial spirit, enterprising Punjabis have opened off-the-rack water tank shops and will perform custom on-site installations upon request.